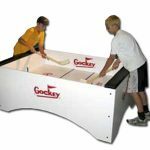 If you are looking for a unique sports party rental for your next event on Long Island or in New York, whether it be indoors or outdoors, consider this interactive tabletop game from NY Party Works that combines several sports such as hockey, field hockey, golf and squash into one: Gockey! This tabletop game is played just like regular knock hockey but with a bit of a twist. 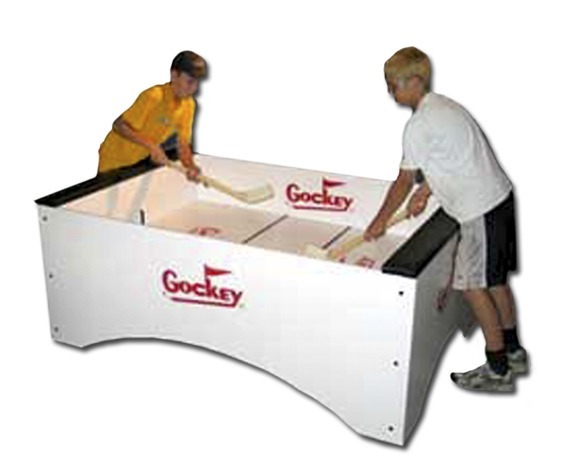 Two to four players stand around the gockey table and hit the special gockey ball with mini hockey sticks. 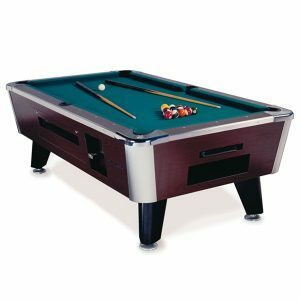 The purpose of the game is to try to shoot the ball into the opponent’s goals. 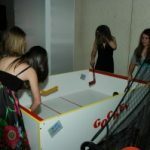 It’s like playing street hockey but within a self contained box! So you will never have to worry about anyone getting hurt or making sure everyone knows how to roller-skate again! 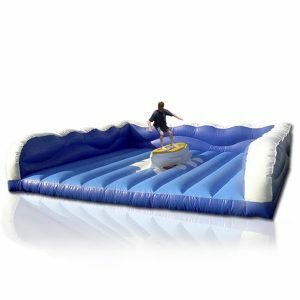 It’s the perfect party entertainment that can be played by children of all ages and is a lot of fun for the adults as well! 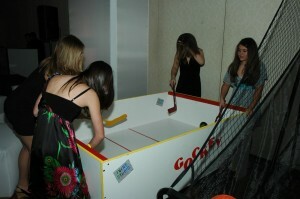 This game is perfect for any bar mitzvah or sweet sixteen that is sports themed! 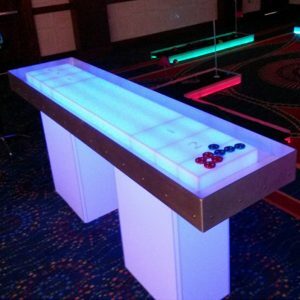 Since the table doesn’t require any electricity it’s also perfect any event that is being thrown outside like graduation parties or corporate events. 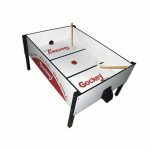 Our gockey tabletop game rentals are about six feet long and three feet wide and two and a half feet tall, so just make sure there is enough space at your venue of choice! 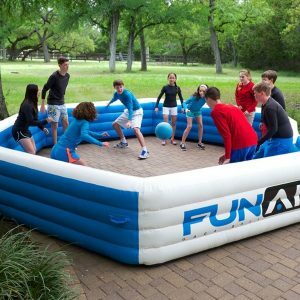 For more information on this sports party rental, feel free to give us a call at 800-469-3866 or click on the button below and fill out the form!